As any close sporting contest ebbs and flows so do the emotions of the athletes and the spectators. 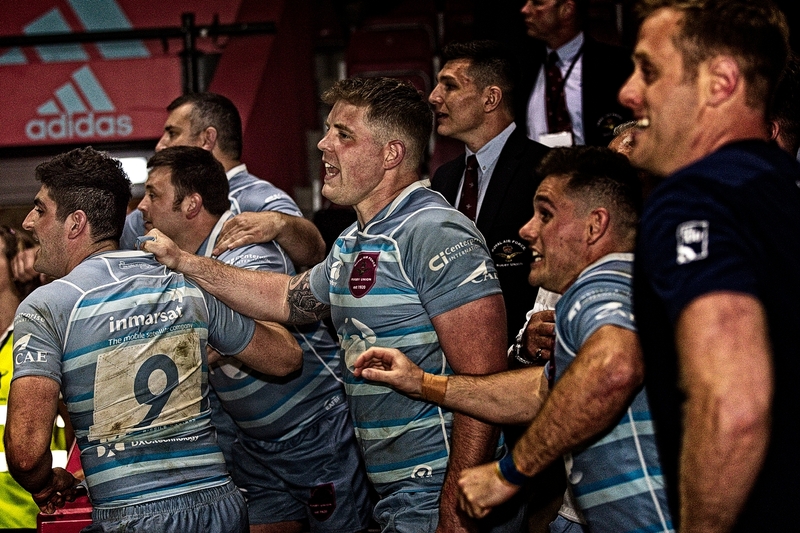 This collection of images was taken from the second round of the 2018 Inter Service Championship which was for the first time played at the Twickenham Stoop. 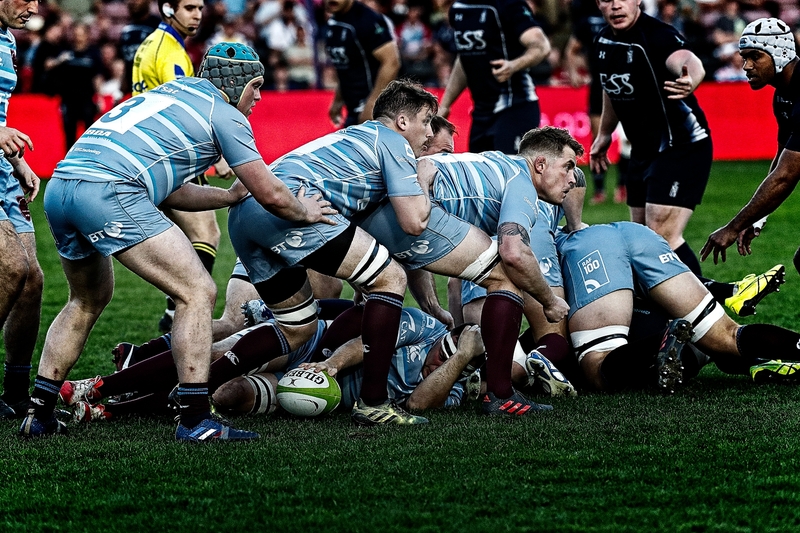 It is hoped that the match can be re-established as a major destination sporting event having lost its focus since its move from Twickenham in the 90s. 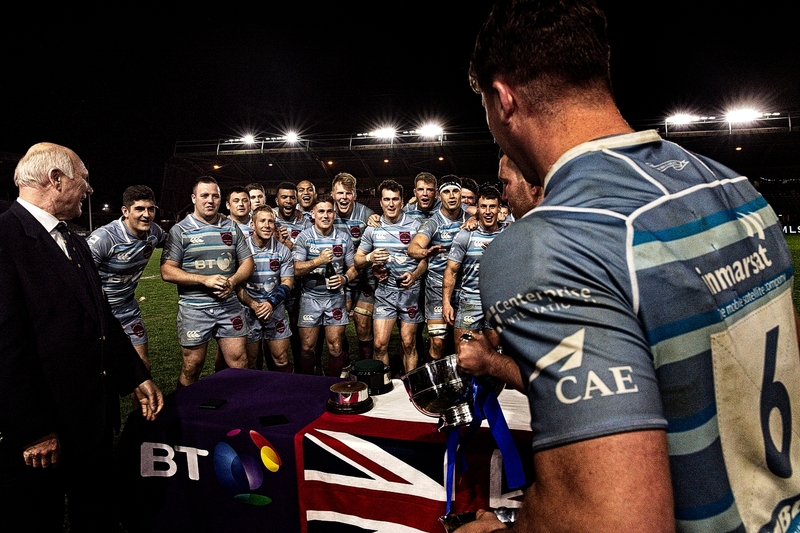 Prior to match the RAF had beaten the Army in Round 1 so knew that a win would secure the Championship. For the Navy a win would ensure that they would be themselves challenging for an Inter Service title when they ran out at a sell out Twickenham two weeks later in the 101st Army v Navy Match. In this work "Anticpation" I have attempted to capture a few pre game, in game and post game moments that just freeze a instance of time as the game unfolded to its eventually conclusion. The scene is set. 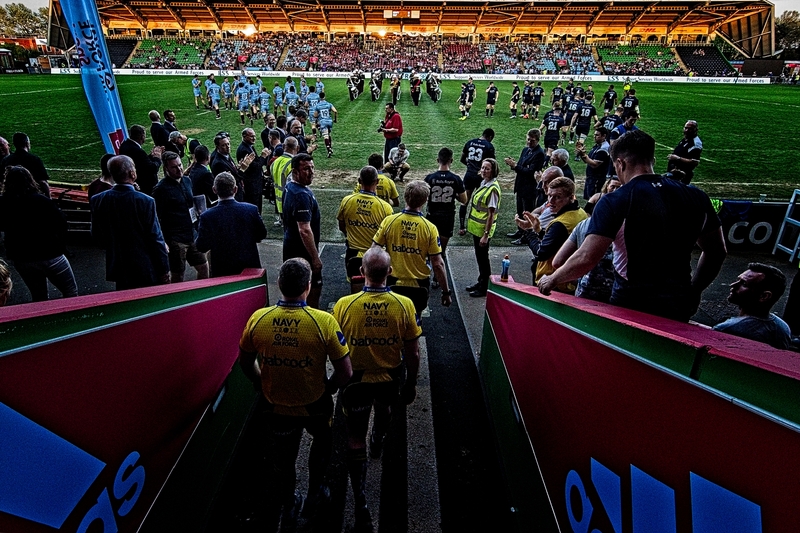 The first three images were taken pre match where the sun was dipping behind the Stoop's West stand but its golden rays were still being reflecting in the hospitality boxes of the DHL stand. 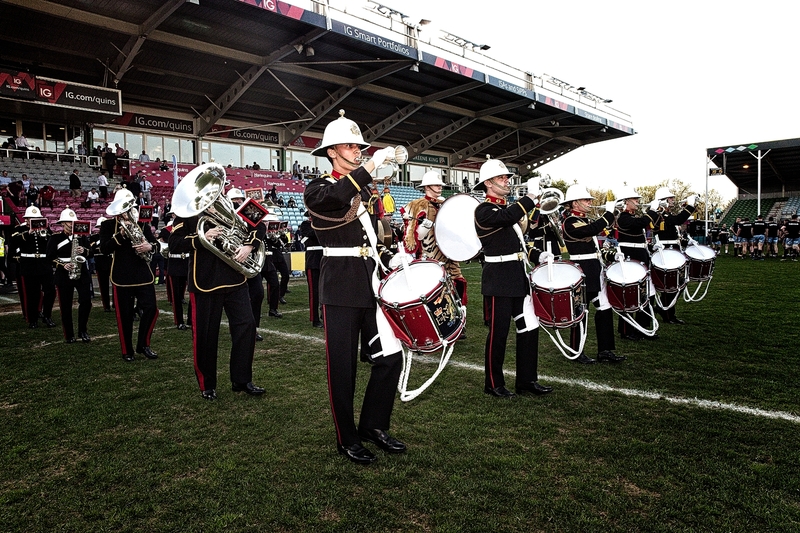 The band of Her Majesty's Royal Marines (HMS Collingwood) had provided pre match entertainment and the players were on the pitch awaiting the National Anthem. As with all Service crowds, they were late to their seats as they finished they final pre match drinks in the bar. Though rugby is a dynamic sport there are frequent times when the action pauses. With ball secured the RAF prop, Dave Manning, assesses his options. The ritual of the kickers is always a moment when anticpation can build. From the moment they place the ball to when then finally strike it can easily be upwards of 45 seconds. In many rugby grounds it remains a time of total silence before the atmosphere sweeps back around the ground as the ball either sails through the uprights or is left wide of its intended target. The RAF scored a penalty late on to take them 31-21 in front. With the Navy requiring two scores they were soon back on the attack following the restart but the clock was against them. In the RAF technical area all eyes were trained on the play as they waited eagerly for the final whistle when they could finally relase their pent up emotions. 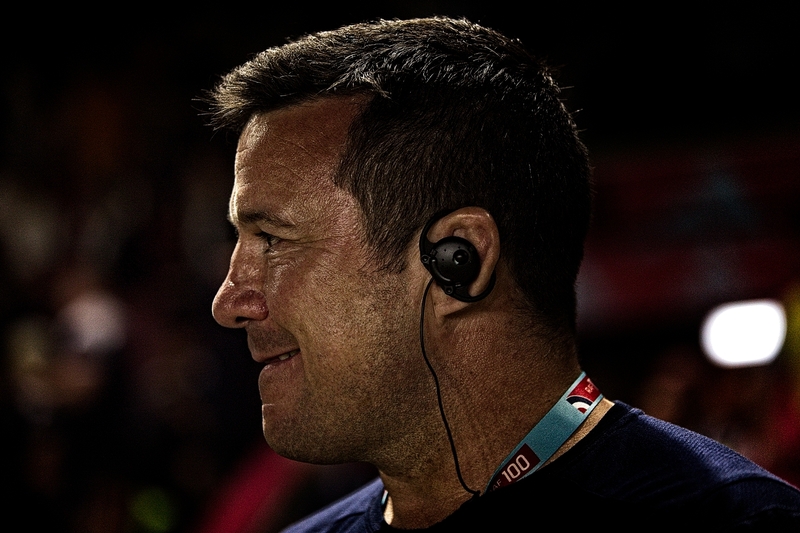 RAF Team Manager, Andy Yeates, remains as focussed as ever. He is in a dilemma. He knows the game is won but also knows that he cannot release his inner most feelings of pride, joy, relief and excitment for the way his team have performed over two games. His eyes are still firmly fixed with their intent gaze on the action but he is having to slightly bite his lower lip to prevent a smile from ruining his cultivated impassive "match face".